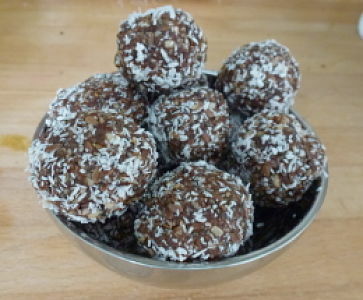 These energy date balls are my yum yum treat for when the going gets tough. 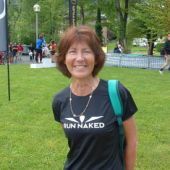 Whilst training for my first ultra marathon I was looking for a homemade recipe that would give me a steady stream of energy, not make my stomach lurch, was easy to pack, easy to make AND tasted yummy. 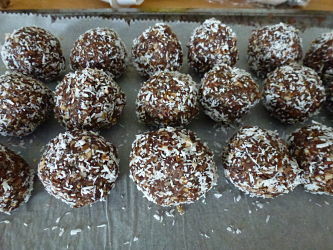 Bring on these Energy Date Balls! I found several recipes on the internet and played around with the ingredients until I got the recipe just how I like it. I hope you like it too. 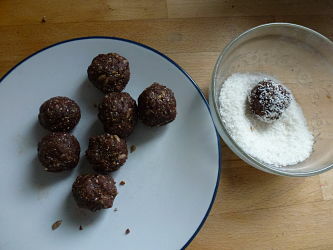 There is no cooking involved so these energy date balls are super easy to make. 1 tbspn whey protein powder. I use Prozis Real Whey Protein but you can use what you wish. Soften the peanut butter and coconut oil if necessary. 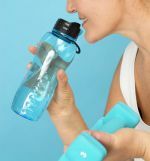 Place all the ingredients (minus the coconut) together in a mixer and blitz until the mix starts to come together in a ball. Place the desiccated coconut in a bowl or on a plate. 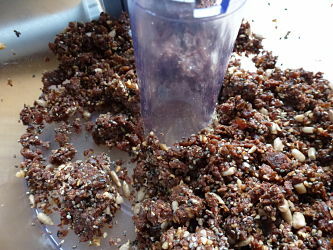 Divide the energy ball mix into about 20 pieces. Roll each piece between the palms of your hand to form a ball shape and then gently roll in the coconut. Place the balls in the fridge to harden up a bit. You can also place them in the freezer and then just remove them as you need them. They don't freeze rock hard so they can be eaten almost straight away.